A few weeks ago I was introduced to the Jealous Body Scrub, a fun Canadian beauty product that is smoothing, hydrating and made with great ingredients. Here's how they describe it: "In each package, there’s a mixture of ground coffee (that has never been brewed before), cold pressed coconut oil, sea salt, raw brown sugar, vitamin E & minerals. All of our scrubs are made in Vancouver, Canada (with lots of love of course)." - You can purchase it here for $17.95 CAD, shipping costs included. I've been hearing all about coffee scrubs for months now, Frank being one of the most popular brands (Jealous is cheaper, FYI). All you need to do is scoop some scrub out of the bag, mix it with water and massage it onto your skin. I'm loving this delicious addition to my body care routine. Though the bag packaging isn't as sanitary as a tube, you get a ton of product for the price ($17.95 w/ no additional shipping costs) and you'll be able to easily scoop it up right down to the bottom. Many people have seen noticeable results when using coffee scrubs on areas with cellulite, so I'm sure you'll see skin firming benefits if you're dedicated to using Jealous on the daily. Best of all, they have incredible customer service and a strong presence on social media. 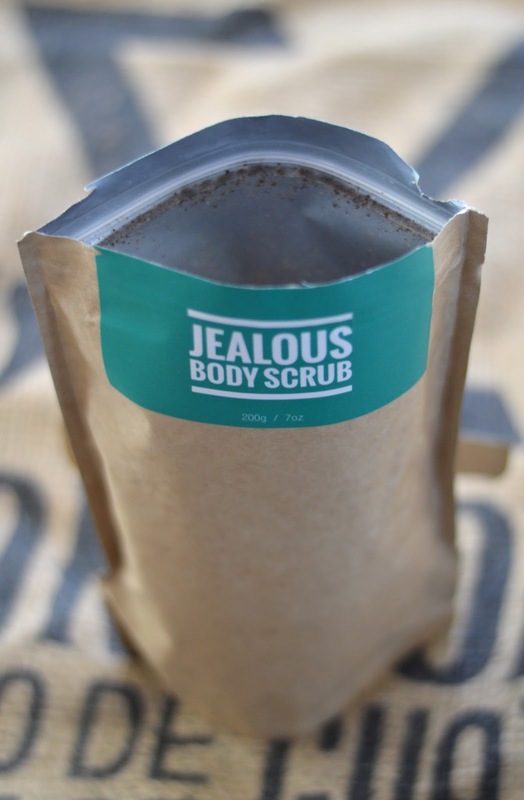 Follow them on Twitter, Facebook and Instagram @JealousBody and be sure to send in your pics when you try out the scrub.